Wrinkles are among the first signs of aging to appear on the face. They can give away your age, or often make you appear older than you actually are. However, looking youthful is not always the goal for people fighting their facial appearance. Wrinkles and lines can communicate inaccurate or inappropriate messages–they may make you appear angry or tired, no matter how calm, happy and vibrant you feel. Luckily, there is a method for smoothing away your lines and wrinkles, whether your aim. Botox® treatment is the only FDA-approved treatment for the temporary reduction of both moderate to severe frown lines, crow’s lines and forehead/brow wrinkles. 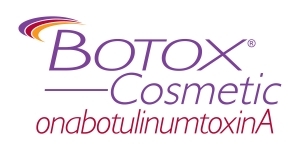 Botox® injections are safe and effective and take only a few minutes, with no down-time. You will begin to see improvement in days that will last for several months.